Local film maker Phoebe Tooke has been on fashionist before. Phoebe will be screening her Student Academy Award winning documentary Circles of Confusion at Slamdance 2009. 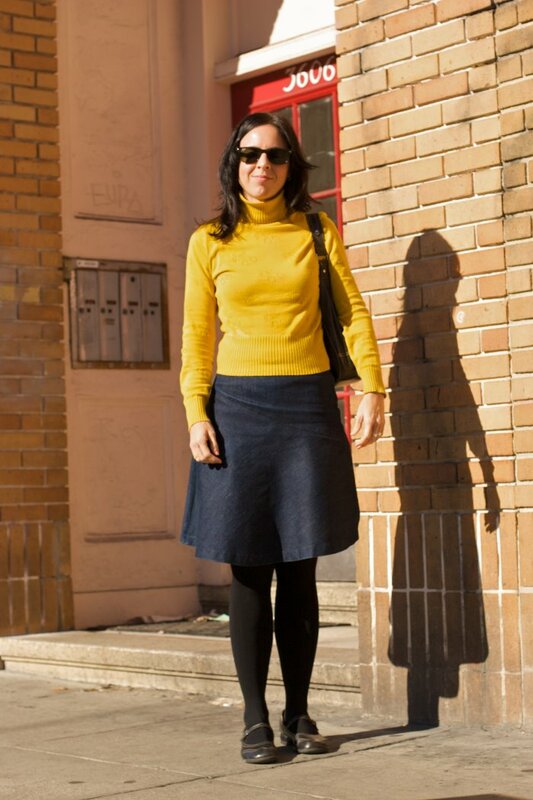 I love her bright yellow sweater, worn with an a-line skirt. A look at her clunky Mary Jane's. great shade of yellow...makes me look forward to spring!